We're taking a detailed look at how to complete week 5 of challenges in the Fortnite Season 8 Battle Pass. 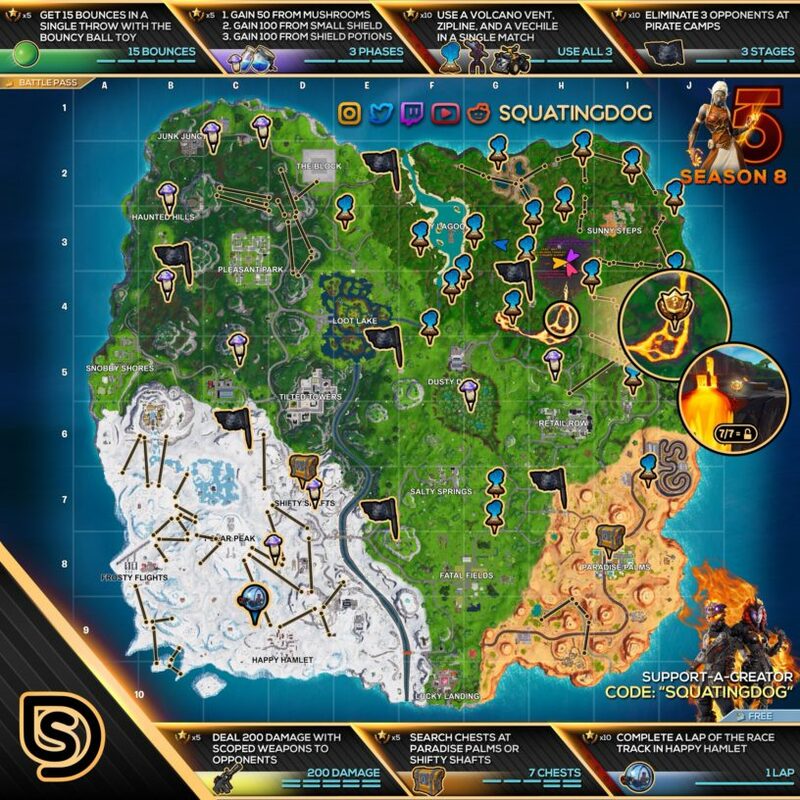 Our Fortnite Season 8 Week 5 Challenges List and Cheat Sheet brings you all of the solutions and answers for the challenges you need to complete for the week. We have maps to treasure and item locations, as well as tips for completing all of them as quickly as possible! This week we're dealing damage with scoped weapons, searching chests at Paradise Palms or Shifty Shafts, completing a lap of the race track in Happy Hamlet, getting 15 bounces in a single throw with the Bouncy Ball toy, gaining shields with various items, using a volcano vent, zipline, and vehicle in the same match, and eliminating opponents at Pirate Camps! Pretty easy one and you've got a few weapon options available to you. Scoped Assault Rifle or Thermal Rifle are good options, and you can even use the Scoped Revolver if you haven't tried it out yet! 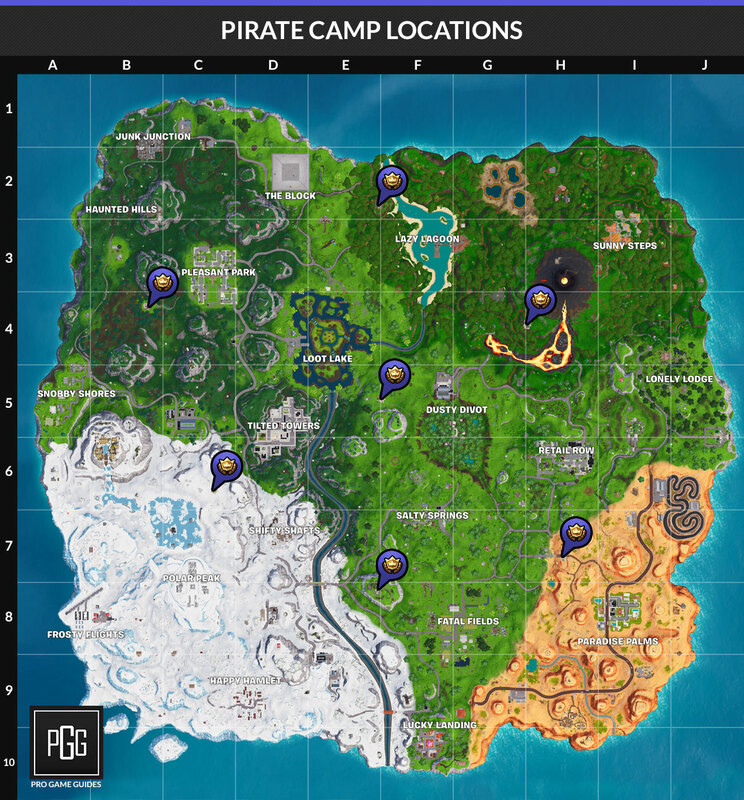 Not much to this one, I'm guessing Shifty Shafts might see a bit less traffic, but Paradise Palms is a pretty big spot so you could head there as well. Just north west of Happy Hamlet is a race track that will have a bunch of driftboards available to you. Head here and hop on a driftboard, start a lap (it will start while you are standing there), and then go around the track once to complete the challenge! The Bouncy Ball toy unlocks at tier 26, so make sure you have your battle pass leveled up to there. Go into a room or enclosed area where you can throw the ball and it will bounce and ricochet off the walls. You can even just wall up and create a small area to do this. It should bounce around and you'll likely pretty easily get 15 bounces. You'll first be gaining shields from Mushrooms, you can find these in the eastern forest near Lonely Lodge, in Dusty Divot, or the forest west of Pleasant Park. The second part of this will have you gaining shields from Small Shield Potions which is easy enough, and the third stage is for the half potions which again is pretty easy. Head to the north east side of the map (north west of Sunny Steps), there's a bunch of ziplines and volcano vents in this area. Once you've hit the vent and zipline, you can head over to the expedition area and grab a vehicle. Ballers and Driftboards spawn over here. 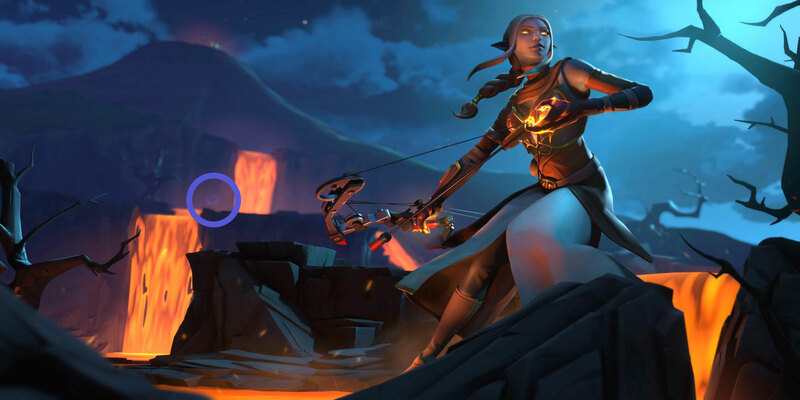 Once you complete all of the week 5 challenges you get this sweet looking Ember skin loading screen. Just over that nice looking lava waterfall is the battlestar. Hey Evident can you please make a video on where to get the week 5 battlestar. I know its near the volcano but I cant seem to find it. Btw I use your creator code. Added a video! Thanks for using the code! Hands of Flame/The fire inside burns eternal. Did ya add it yet? Hey Evident, Can you add a video of the Race Track Challenge? Added a video for you!